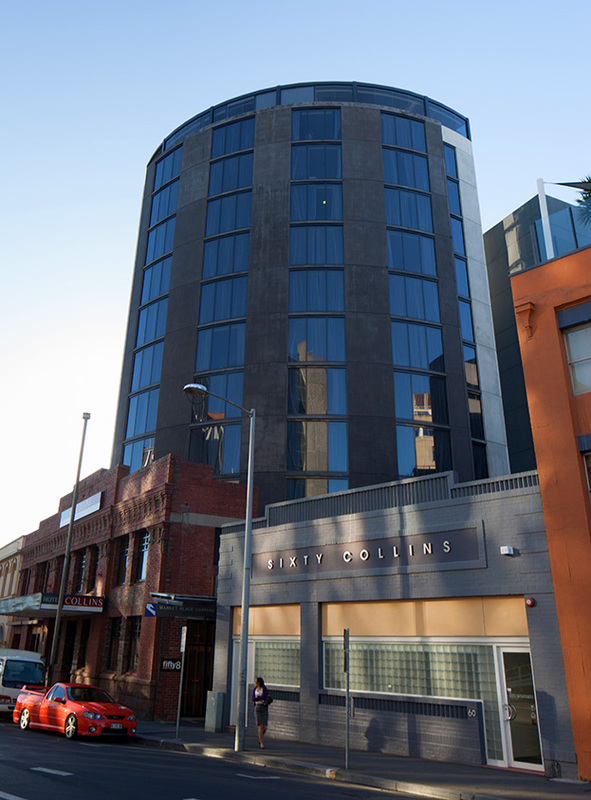 A twelve-storey boutique hotel constructed on a small restrictive site in the Hobart CBD. The final structure consisted of steel pile foundations and a precast and reinforced concrete frame. 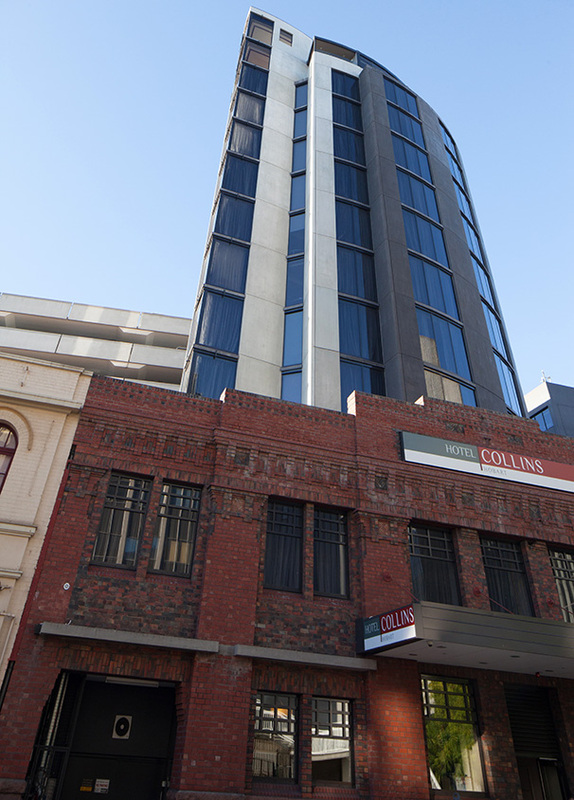 An unusual building, Hotel Collins features a very small footprint repeated through 12 floors with ever diminishing stability elements descending through the building. This and its slender aspect ratio presented significant design challenges. Other issues contended with include driven steel piles, installed through difficult subsurface materials (dolerite boulder beds), the retention of an existing façade attached to the lower levels, and a congested site with limited crane access. 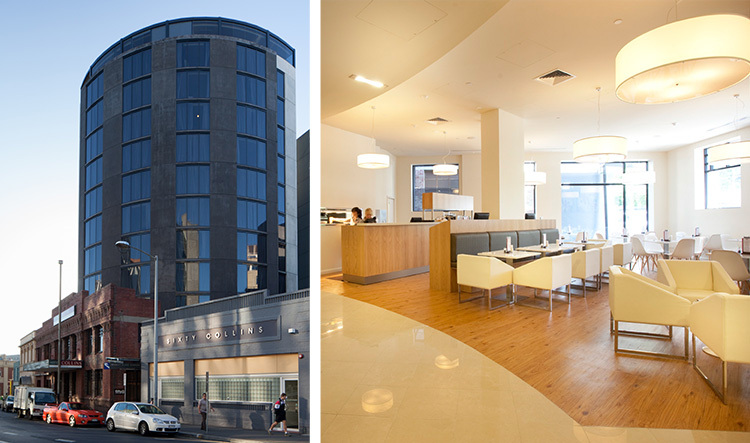 A deluxe inner-city hotel that has been rated one of Tasmania’s best.